The following are cine lenses that I have begun to use since I started filmmaking. You should note that many of the lenses below are available in both PL mount and EF mount as many people have started using cine lenses on their DSLR’s, and many digital cinema cameras have begun to come stocked with EF mounts (such as the EPIC, Scarlet, and C300) due to the popularity over the quality and price point of EF glass. However, cine style lenses, regardless of type of mount, remain a class of their own due to the way they are machined – with filmmaking in mind. Comments: A good rectilinear (non-fisheye) ultra-wideangle lens specifically designed for Cine use. Description (from Canon): The EF Cinema prime CN-E14mm T3.1 L F (EF mount) lens offers a compact, consistent lens design and proven Canon lens elements for performance and reliability in professional shooting environments. Intended for the working professional, the EF Cinema prime CN-E14mm T3.1 L F lens has markings on angled surfaces on both sides of the barrel, making it easy to read focus and aperture settings from behind or from either side of the camera. Focus markings can even be switched from standard labeling to metric. The control rings are engineered to maintain the proper amount of resistance with consistent operating torque. Comments: This would be one of the most common focal lengths I use for cine and at 1.5 – we’re entering the Arri Master Prime range…. I haven’t had a chance to do head to head vs Zeiss yet but will update once I have done some lens tests. What I have seen is simply phenomenal – we shot the "MoVI" short with this lens instantly and fell in love. Description (from Canon): The EF Cinema prime CN-E24mm T1.5 L F (EF mount) lens offers a compact, consistent lens design and proven Canon lens elements for performance and reliability in professional shooting environments. Intended for the working professional, the EF Cinema prime CN-E24mm T1.5 L F lens has markings on angled surfaces on both sides of the barrel, making it easy to read focus and aperture settings from behind or from either side of the camera. Focus markings can even be switched from standard labeling to metric. The control rings are engineered to maintain the proper amount of resistance with consistent operating torque. Comments: This would be another of the most common focal lengths I use for cine and at 1.5 – we’re entering the Arri Master Prime range for a fraction of the price. Description (from Canon): The EF Cinema prime CN-E35mm T1.5 L F (EF mount) lens offers a compact, consistent lens design and proven Canon lens elements for performance and reliability in professional shooting environments. Intended for the working professional, the EF Cinema prime CN-E35mm T1.5 L F lens has markings on angled surfaces on both sides of the barrel, making it easy to read focus and aperture settings from behind or from either side of the camera. Focus markings can even be switched from standard labeling to metric. The control rings are engineered to maintain the proper amount of resistance with consistent operating torque. Comments: This is a fantastic lens for MCU (Medium closeup) and CU (Closeup) shots. A STANDARD cinema prime that is very commonly used. Gorgeous out of focus Bokeh and incredibly bright. Description (from Canon): he EF Cinema prime CN-E50mm T1.3 L F (EF mount) lens offers a compact, consistent lens design and proven Canon lens elements for performance and reliability in professional shooting environments. Intended for the working professional, the EF Cinema Prime CN-E50mm T1.3 L F lens has markings on angled surfaces on both sides of the barrel, making it easy to read focus and aperture settings from behind or from either side of the camera. Focus markings can even be switched from standard labeling to metric. The control rings are engineered to maintain the proper amount of resistance with consistent operating torque. Description (from Canon): The EF Cinema prime CN-E85mm T1.3 L F (EF mount) lens offers a compact, consistent lens design and proven Canon lens elements for performance and reliability in professional shooting environments. Intended for the working professional, the EF Cinema Prime CN-E85mm T1.3 L F lens has markings on angled surfaces on both sides of the barrel, making it easy to read focus and aperture settings from behind or from either side of the camera. Focus markings can even be switched from standard labeling to metric. The control rings are engineered to maintain the proper amount of resistance with consistent operating torque. Comments: This lens is DROP DEAD gorgeous. The 135mm EF lens has always been one of Canon’s jewel lenses in their still line – this lens is somehow better, notably with the iris and out of focus bokeh it creats. Description (from Canon): The EF Cinema prime CN-E135mm T2.2 L F (EF mount) lens offers a compact, consistent lens design and proven Canon lens elements for performance and reliability in professional shooting environments. Intended for the working professional, the EF Cinema prime CN-E135mm T2.2 L F lens has markings on angled surfaces on both sides of the barrel, making it easy to read focus and aperture settings from behind or from either side of the camera. Focus markings can even be switched from standard labeling to metric. The control rings are engineered to maintain the proper amount of resistance with consistent operating torque. Comments: The CP.2 lenses give you all of the advantages of cinema glass (T stops measurements, a geared focus ring with hard stops, and sharp optics) for a fraction of the price. This is also the sharpest "affordable" ultra-wideangle cine prime that I’ve used. I won’t leave home without it. I would say that the Zeiss CP.2 lenses are the most intelligent investment people can make in terms of versatility: due to their interchangeable mounts you can use these on both Canon EF camera mounts (stills cameras + video) as well as PL. That means you’ll be using these lenses for decades to come, even if you upgrade to the fancier (more expensive) cine glass as you progress. This was my first cine prime set and I still use it today. Description (from Zeiss): The Zeiss Compact Prime CP.2 15mm/T2.9 Cine Lens (EF Mount) is part of the second generation of CP cinema lenses that were the first to offer full-frame 35mm coverage of large sensor DSLRs (such as the Canon 5D Mark II). Comments: Were I forced to start off with a set of only four of these – this would be one of the 4 that I would choose. The 18mm is one of the sharpest wide angle lenses you’ll find anywhere – keep in mind that it does not cover a full frame sensor though but will cover the C300 and 7D series sensors. Description (from Zeiss): The Zeiss Compact Prime CP.2 18mm/T3.6 Cine Lens (EF Mount) is part of the second generation of CP cinema lenses that were the first to offer full-frame 35mm coverage of large sensor DSLRs (such as the Canon 5D Mark II). Comments: A classic Wide Master lens. Description (from Zeiss): The Zeiss Compact Prime CP.2 21mm/T2.9 Cine Lens (EF Mount) is part of the second generation of CP cinema lenses that were the first to offer full-frame 35mm coverage of large sensor DSLRs (such as the Canon 5D Mark II). Comments: This is the wide angle lens I use the most by far. It’s excellent for medium wide shots and absolutely sings when it comes to doing tight portraits. Description (from Zeiss): The Zeiss Compact Prime CP.2 25mm/T2.9 Cine Lens (EF Mount) is part of the second generation of CP cinema lenses that were the first to offer full-frame 35mm coverage of large sensor DSLRs (such as the Canon 5D Mark II). Comments: A very bright, versatile wideangle – great for wideangle portraits and wider compositions. Description: The Zeiss Compact Prime CP.2 28mm/T2.1 Cine Lens (EF Mount) is part of the second generation of CP cinema lenses that were the first to offer full-frame 35mm coverage of large sensor DSLRs (such as the Canon 5D Mark II). Comments: This is a pleasure of a lens to use and a guilty pleasure. Description: The Zeiss Compact Prime CP.2 35mm/T1.5 Super Speed PL Mount with Imperial Markings is a fast cine prime lens designed for filmmaking and video production applications. It shoots remarkably well in low-light. Aside from great optics and mechanics, the lens offers broad flexibility in the areas of camera compatibility, follow-focus compatibility, and shooting capacity. Comments: Were I forced to start with a set of four CP.2 lenses – this would be one of the 4 that I would choose. Still photographers should think of this as their 50mm lens (on a full frame camera) and it’s one of the single most popular focal lengths for all of the medium shots in cinema. Description: The Zeiss Compact Prime CP.2 35mm/T2.1 Cine Lens (EF Mount) is part of the second generation of CP cinema lenses that were the first to offer full-frame 35mm coverage of large sensor DSLRs (such as the Canon 5D Mark II). Comments: Once you start using the Super Speeds you will have a hard time going back to the "darker" CP.2 lenses. Description: The Zeiss Compact Prime CP.2 50mm/T1.5 Super Speed PL Mount with Imperial Markings is a fast cine prime lens designed for filmmaking and video production applications. It shoots remarkably well in low-light. Aside from great optics and mechanics, the lens offers broad flexibility in the areas of camera compatibility, follow-focus compatibility, and shooting capacity. Comments: Were I forced to start with a set of four CP.2 lenses – this would be one of the 4 that I would choose. This is a fantastic lens for MCU (Medium closeup) and CU (Closeup) shots. Description (from Zeiss): The Zeiss Compact Prime CP.2 50mm/T2.1 Cine Lens (EF Mount) is part of the second generation of CP cinema lenses that were the first to offer full-frame 35mm coverage of large sensor DSLRs (such as the Canon 5D Mark II). Comments: Ridiculously sharp and bright. Description: The Zeiss Compact Prime CP.2 85mm/T1.5 Super Speed PL Mount with Imperial Markings is a fast cine prime lens designed for filmmaking and video production applications. It shoots remarkably well in low-light. Aside from great optics and mechanics, the lens offers broad flexibility in the areas of camera compatibility, follow-focus compatibility, and shooting capacity. Comments: Were I forced to start with a set of four CP.2 lenses – this would be one of the 4 that I would choose. Gorgeous portrait lens for stars. Description (from Zeiss): The Zeiss Compact Prime CP.2 85mm/T2.1 Cine Lens (EF Mount) is part of the second generation of CP cinema lenses that were the first to offer full-frame 35mm coverage of large sensor DSLRs (such as the Canon 5D Mark II). Comments: This lens and the one below are simply incredible – this is a wonderful cinema portrait lens. Description (from Zeiss): The Zeiss Compact Prime CP.2 100mm/T2.1 Cine Lens (EF Mount) is part of the second generation of CP cinema lenses that were the first to offer full-frame 35mm coverage of large sensor DSLRs (such as the Canon 5D Mark II). This is a jewel of a lens – a little tight for some for closeups – a dream for others. I consider this my 135mm (full frame still) equivalent and dream lens to shoot female stars closeup shots. Comments:Knockout portrait and specialty use lens. Comments: This is no small lens but wow – it performs stunningly in the macro range. I used it on the shot in this spot that started on the eye and pulled back. Description (from Zeiss): With the CP.2 50mm Makro you can go closer to the object you want to capture while still having a sharp image. The closest distance to the object with a CP.2 50mm Makro is 10" (24cm). Comments: The widest "affordable" cine lens you can get. Description (from B&H): Thanks to its smooth, de-clicked aperture and ideal focal length, the 8mm T/3.8 Fisheye Cine Lens for Canon from Rokinon is a great lens for shooting video with your DSLR camera. It is designed to shoot with APS-C image sensors, for which it provides full frame coverage, creating an expanded perspective that covers the entire frame. For DSLR’s with a full frame sensor, this lens will produce pictures with a semi-circular image and close-ups will appear proportionately large for a dramatic effect. Its de-clicked aperture range runs from T/3.8 to T/22, providing a smooth, silent, jump-free transition when shooting video and its multi-layered, anti-reflective UMC coated lenses allow for clean light transmission and razor sharp images. Toothed focusing and aperture rings and bright, white numbering make controlling your image all the easier. Description (from B&H): The Rokinon 14mm T3.1 Cine Lens for Canon EF-Mount is optimized for film and video applications. The focus and iris rings feature industry-standard gearing, which provide an interface for use with a follow focus. To aid focus pullers, aperture and focus scales are marked on the side of the lens. This 14mm lens produces a 115°, ultra-wide angle-of-view when used with a full-frame or 35mm camera. Hybrid aspherical lenses render sharply defined images with a minimum of distortion and chromatic aberrations, and the minimum focus distance is 11.02" from the lens. Description (from B&H): The Rokinon 16mm T2.2 Cine Lens for Canon EF is a wide-angle lens optimized for digital cinematography. The lens produces an image circle that will cover APS-C sized sensors or smaller. The focus and aperture rings feature industry-standard 0.8 pitch gearing for attaching a follow focus unit. The aperture ring is also de-clicked to allow for smooth iris pulls while shooting. Focus, aperture, and depth of field markings are on the side of the lens to aid focus pullers, who typically operates on the side of the camera. The 16mm T2.2 lens is constructed out of 13 individual elements in 11 groups, including one aspherical and one hybrid aspherical element. Aspherical elements help minimize unwanted distortion and chromatic aberrations. The lens also has a multi-layer coating to reduce flares and maintain image contrast in bright conditions. Description (from B&H): The Rokinon 24mm T1.5 Cine Lens for Canon EF-Mount was developed primarily for film and video applications. The cine version of Rokinon’s 24mm lens features industry-standard gearing for the focus and aperture ring, and the aperture ring has been "declicked" for smooth iris pulls. The aperture and focus scales have also been relocated to the side of the lens, where it is easier for focus pullers to read them. The Rokinon 24mm cine lens is compatible with full-frame sensors. APS-C sensors with a crop factor of 1.5 – 1.6 will exhibit a 35mm equivalent angle-of-view equal to approximately 38mm. The optical construction is comprised of 13 elements arranged in 12 groups. Four lenses are low-dispersion glass (ED), plus two aspherical elements. The 24mm features Ultra Multi Coated (UMC) multi-coated lenses for improved light transmission and resistance to ghosting and flares. Comments: … you can’t expect the same image quality of course… but for many it’s more than good enough – especially on DSLRs. Description (from B&H): The Rokinon 85mm T1.5 Cine Lens for Canon EF produces a slightly telephoto angle-of-view on full-frame sensors. It features a very fast maximum aperture of T1.5 and an 8 blade iris, for shallow depth of field with attractive bokeh. The focus and aperture control rings are outfitted with industry standard gearing, which provides an interface for working with a traditional follow focus. The aperture control ring has also been "declicked", which facilitates smooth iris pulls. The 85mm has a minimum focus distance of 3.6′. Internal focusing minimizes the effects of lens breathing, which insures a more consistent angle-of-view when adjusting focus. The lens is composed of 9 elements in 7 groups, including one aspherical element to reduce spherical aberrations. In addition, a multi-coated elements help improve light transmission. Hello! Very good info here in this blog. How do the Canon cinema prime lenses compare to the Zeiss CP.2? Did you test them? What do you think? Super jealous of all the Cine lenses you have! Looking forward to seeing what the Canon Cinema lenses can do as more people get their hands on them. Do you have any more upcoming projects with the C300? I was the last guy to take a photo with ya’ at Singapore’s C300 launch using an iPhone. Would like to ask some questions on the scene for camera crew in the States but kinda’ think it’s not nice to put it up here. May I contact you through e-mail ? Mine’s fringeofreturn@gmail.com if you would. I’d like to know if getting the CP.2 Zeiss for Nikon mount then adapting it to Canon would deteriorate the quality of the video/still photo in your opinion. As long as you do it correctly – it shouldn’t have any effect – it’s all about making sure the shims and alignment are correct. Do you know when these Canon lenses will be available to the public? I remember you mentioned an app that allowed you to view different focal lenghts at diferent sensor sizes on the ipad.. thats what i remember at least. I cant find it in the blog, can you please tell me whats the name? also, what are your favourite/most used apps for cinema and photography for iphone/ipad? thank you so much for all the info you make available for us! Sure – Artemis. I’ll put a section of my favorite apps soon as well. Thanks so much for maintaining a site so rich with valuable information! I, like many others before me I realize, am hoping you might offer some lens purchasing advice. I’ve been shooting (stills, then video) for some time on a variety of cameras most substantially including the 7D. On the 7D I was using a Sigma 30mm 1.4, a Sigma 18-50mm 2.5, a Sigma 70-200mm 2.8 and a Tokina 11-16mm 2.8. I’ve just added the 5D Mark III and need to sell a couple of my cropped sensor lenses and get some full frame lenses. I also envision using something like the C300 or perhaps the Cinema EOS HDSLR when and if it comes out so I’m going back and forth a bit between finding a way to pay for a limited set of cinema primes (most likely the Zeiss CP2s) and simply the L series 24-70mm 2.8, 70-200mm 2.8 IS and maybe the 50mm 1.2. FYI, my favorite focal lengths tend to be very wide and 50mm. This definitely seems like a “can’t” miss way of doing things: (most likely the Zeiss CP2s) and simply the L series 24-70mm 2.8, 70-200mm 2.8 IS and maybe the 50mm 1.2. FYI, my favorite focal lengths tend to be very wide and 50mm. – go w/ Zeiss for all of your wides… much better optics wide open. 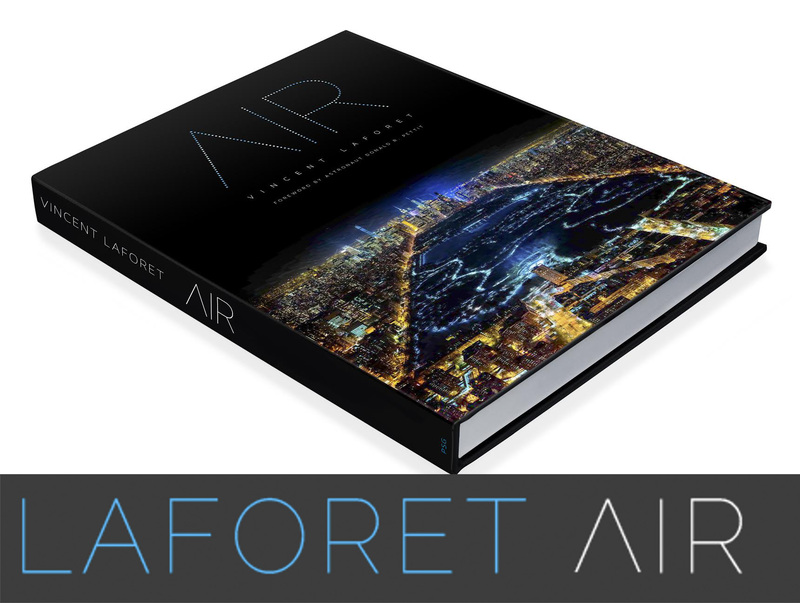 @Vincent Laforet, Many thanks! I’m thinking about going with three CP2s (from http://www.abelcine.com/store/Zeiss-Compact-Prime-CP.2-3-Lens-Set/#tabs) and then also the L series 24-70mm II. I’d hold off on anything else. The next lenses I’d be interested in though would be a faster lens like the 50mm 1.2 (though holding focus on the 5DIII that wide open would be near impossible) and then probably the 70-200 L with IS but considering how expensive all of that would be I think I’d need to and could hold off on the last two especially given how infrequently I think I’d need them. Sounds like a wise plan! 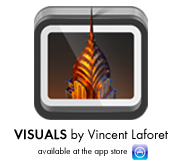 @Vincent Laforet, Thanks! Given all that and the cost of CP2s, may I ask, finally, how important you feel they are/would be? It would be difficult or not advisable of course to use them for stills considering no auto-focus too. Other than lack of AF and size – they are some of the best still optics u can use. I think CP.2s are best investment u can make! Pls consider getting them thru our gear page as that supports the blog and the people who help me put it together! @Vincent Laforet, Thanks again, Vincent. Will do! @Vincent Laforet, I was about to finally pull the trigger on the CP.2s when I realized that using them with a 5D III would require a matte box whenever I’d need to use NDs as there are no screw-on filters for those lenses. That’s a major problem. The majority of the shooting I do is documentary and I want and need to keep as low a profile as possible as well as be very nimble gear-wise. You don’t know of any other way of addressing this do you? 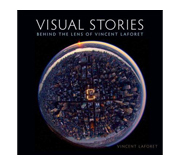 @Vincent Laforet, Thanks. That is one of many great things about the C300 but it’s just not in my price range at the moment. (1.) I understand that – with the interchangeable mount – they can be used on all PL cameras, but when you say (for example) you used them on the RED, did you shoot 1080p, 2k or 4K ? (2.) How are the CP .2 shooting 2K or 4K ? (3.) Did you ever had a chance to compare them to any of the new 4K lenses that are hitting the market ? (4.) I am trying to understand how a 4K (e.g. Canon 4K EF Cinema) lens that is specifically designed to support up to 4096 x 2160 pixels would / could outperform a CP.2 lens (or any other lens for that matter) that is not specifically designed for 4K when you shoot 2k or 4K ? Is the image “sharper” (less blurred) on the 4K lens ? Aren’t the Zeiss Compact Primes essentially rehoused stills glass? I own a 4 set and they are incredibly sharp. If they are good enough for full frame film, I think they should be just fine at 4-5K. thank you sir, i’m new in the hdslr field and your article help me a lot in understanding the different lenses and their application for film. thank you very much sir, i’m new to the hdslr, your article helped me to understand the different lenses and their application. Hi Vincent, the volume of information here is simply incredible!! Question: I’m torn between getting the 5D Mk3 or the Sony FS700. 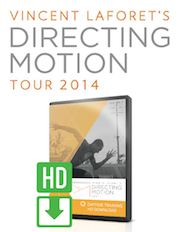 Which of these would you recommend for a documentary filmmaker? Just wondering if you’ve had a chance to shoot with the Canon Cinema lenses yet, specifically the 24, 50 and 85? With the price drop and current promo on B&H, they are priced to compete with the CP2s yet have much better aperture possibilities. If you have, what do you think? I saw your comments above (that you hadn’t done side-by-side comparisons with the CP2s) but that was a few months ago. Hi, Vincent I am a big fan of yours here in Nigeria. I am also into documentaries and film making. I am really interested in the Canon Cinema Primes. I think we need some sort of video review & tests on those lenses. They look cool & have better apertures than even the CP.2 Super speed. But we’d love to see a video and review of the Canon Cinema Primes. Even if not a comparison. I have the possibility of getting a set of Cine-Xenar lenses (version II with the external focusing (barrel moves forward)) at an incredibly good price. Like $12.8K good for a set of 5, which is very cheap considering they were at $30K two years ago. The thing is of course they don’t cover FF and are quite large and heavy. Great for work with my F3, but not possible with my 5DMIII, so less flexible, but of course telecentric and beautiful bokeh. Had been thinking on CP.2’s or the Canon primes, which would be twice as expensive for a 5 set. Wondered how these two latter sets would compare in your opinion to the Xenar MK II’s? Grab the set based on price! Just wanted to let you know, that it looks like I will be getting that set, but in case either you or anyone else is interested I have found a second set in perfect condition at a very close price here in Paris. Just let me know if that floats anyone’s boat. Very sharp lenses and incredible bokeh. I was wondering, what do you think of the Rokinon cine lenses? checking back on my question from about 8 months ago whether you had a chance already comparing the CP.2’s with the new 4K lenses or the Canon Cinema Lenses ? Hey Vincent, great page here, really useful. I know you used the 30-300 Canon Cine zoom on Mobius (Awesome film by the way). Did you use any of the Canon Cine primes? I’m looking to get a set of cinema primes and the Canons seem to fit the bill, especially with the two new announced ones (14 mm and 135 mm), but I wondered if you thought they were any good, or if you had used them at all. My other options for a set would be 4-6 of the Zeiss compact primes, or the Schneider Cine-Xenar III’s. Any opinions on that? The Canons are awesome – I haven’t see the 14 or 135mm live yet. Honestly you can’t go wrong w/ any of the ones you mentioned… Canon open up to 1.3-1.5 region so their bright. Zeiss CP.2 have interchangeable mounts which can be a big plus. Xenars are awesome but heavy. If I bought… I’d likely buy Cookes… but everyone that buys the T 2.8 Cookes seems to go to the more expensive T2.0 Cookes quickly… so in the end… I rent! @Vincent Laforet, I only afford to choose only two Zeiss CP2 lenses. 35mm is obvious for me, but i can’t decide between 50mm and 85mm? I’ve learned that the 11 – 50mm category should be covered, but still i need to shoot from a distance and the 85mm would be great. Camera will be C100 canon or BMURSA. Can you help me? I hope you can help me with your expert knowledge. First of all thank you for the great info in this blog! I’m a musician and I’m producing my own music videos. So far with the Sony SLT a77 and a 50mm prime lens but I wanna bring it to the next lever that means want that high end professional look. I’m looking forwand to buy me a Blackmagic Design Cinema Camera with a superb prime lens in combination. Is this a good idea to get what I want? What lens can you recommend me? If it should be the BMCC… would the 2,5K Camera be enough or should I put the money in and get the 4K camera? Or…. can you recommend me another camera for my intention? I have about 7000 EUR to spent for this project. And for me it’s a lot of money so the investment has to be good researched, hasn’t it? I’d be very satisfied by getting some experienced opinion / though about all that. Thanks for helping Vincent. I’m planning to buy the C100 body, if you would have 2 lens to recommend on a starter kit, which one will you suggest. Thanks so much. I’m curious why you selected the non-Super Speed versions of the Zeiss lenses as your “Were I forced to start with a set of four CP.2 lenses” in the cases where there is a Super Speed equivalent. Hello Sir, Great info on this post. I wanted advice on my situation. I have decided I am going to buy the Rokinon Cine-DS line of lens for building my gear for filmmaking. However, my dilemma here is about the camera. I have a nikon d5100, so I am not sure if I should go ahead and get the rokinon’s with nikon mount, and and in future I can upgrade to a better nikon OR if I should get rokinon’s with canon mount and buy a canon dslr and start building collection from there. What would be your adviced approach? I have a big question: I want to buy Cine Lenses, Probably the Zeiss. I am buying also the Ursa mini 4.6k camera. The PL camera costs much more than the EF camera. EF lenses offer also stabilized optics and some more cheaper solutions. So If I want, due to budget limitation, take three basics Cine lenses, let’s say 24, 50 and 85, and then some less expensive 210-somthing lens or a 50 stabilized for some kind of job I would point to EF mount. My question is: is it worth? Do the Cine Lenses behave the same in PL and EF? are there any other issues that could make me choose PL over EF? I’d like to have more and more Cine lenses over time. But in the meanwhile some cheap still lenses could help. Is this a wrong thought? I am really open to suggestions. Your home is valueble for me. Thanks!? This web page is known as a walk-by for all of the information you wanted about this and didn know who to ask. Glimpse right here, and also you l definitely uncover it. Alors lÃ , Bob, y a gourance. L’Eglise n’est pas moribonde. Loin de lÃ . Quant Ã la Religion (avec un O comme « opium »), on n’est pas prÃ¨s d’en Ãªtre dÃ©barrassÃ©s. Car bien sÃ»r, par-delÃ l’Eglise catholique, c’est toutes les bondieuseries que je vise et brocarde depuis quatre jours. Inutilement, j’en conviens, mais je trouve Ã§a jubilatoire. Je n’en ai pas fini d’ailleurs… Mais, demain, tiens… pour faire un break, je vous promets une digression. This is very helpful info. I love seeing your work. I am building a studio, with canon C300 Mark II in a 15 x15 room. Our budget for lenses is about 20k. I appreciate if you can provide recommendations. Excellent beat ! I wish to apprentice whilst you amend your web site, how could i subscribe for a weblog web site?